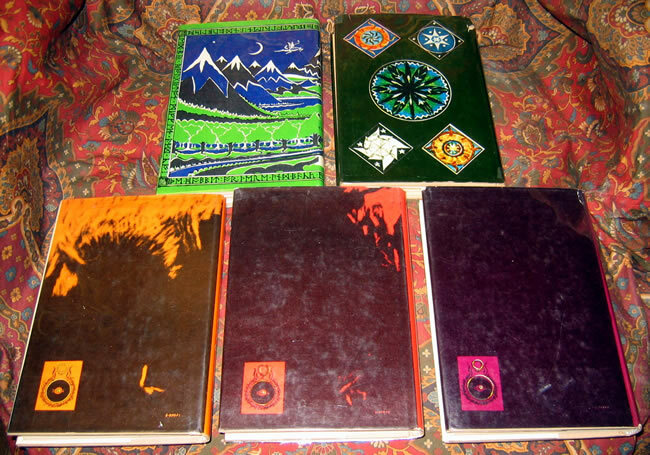 An unusual five volume hardback set, matched in size, format and impression. 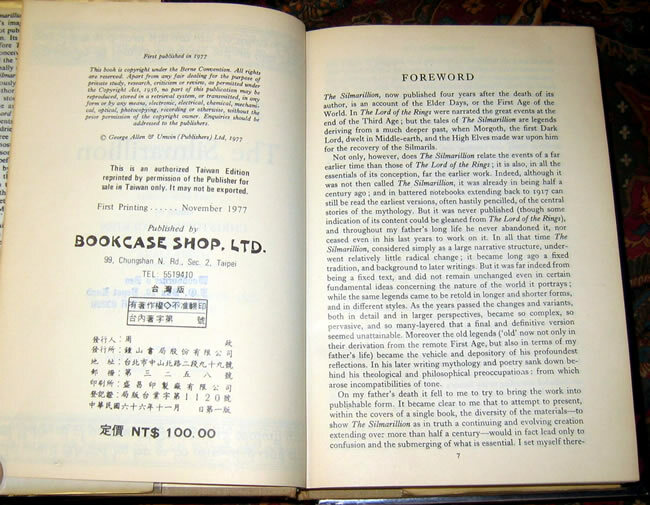 A wonderful and scarce collection of the Taiwan Editions, published in 1976 & 1977 by the Bookcase Shop Ltd, Taipei. 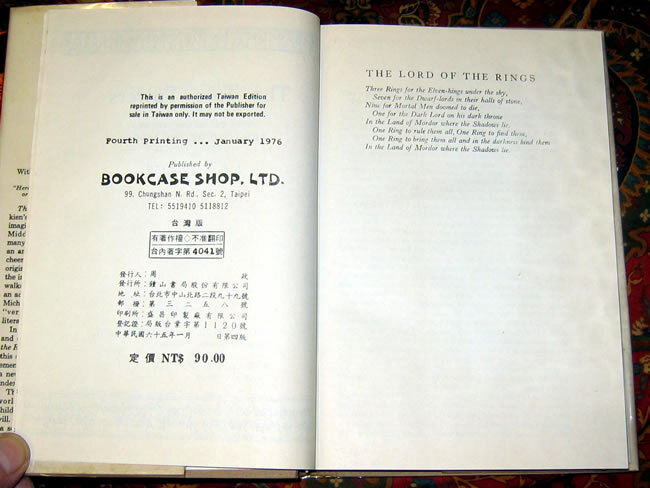 None are price clipped, but only the Fellowship of the Ring and The Silmarillion have a price on the dustjacket. 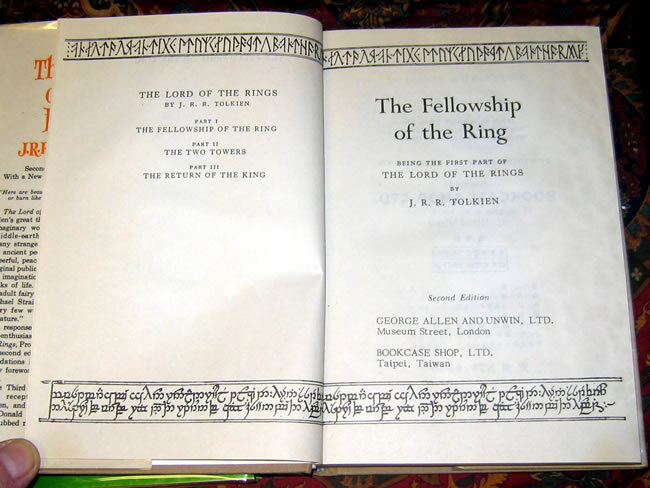 The top edges of the books are slightly dusty, otherwise a bright set of this classic of fantasy literature. 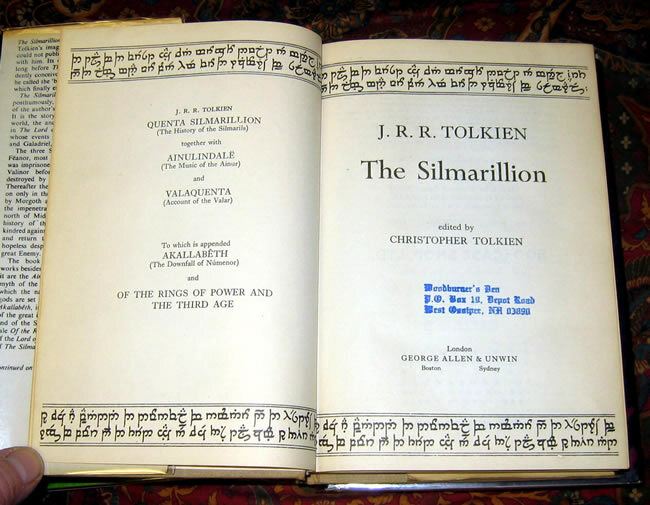 The Silmarillion is slightly yellowed or darkened to the text block, and has a previous owner's name and address on first blank page. 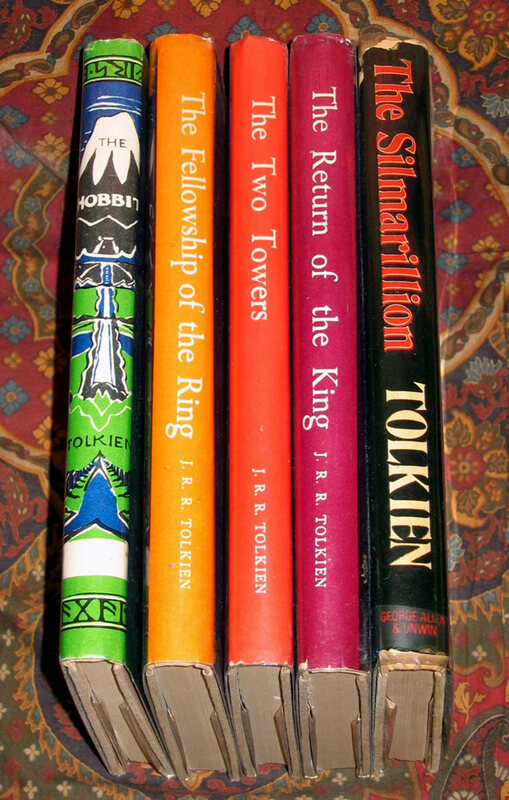 The dustjacket of the Silmarillion also shows some wear, with minor loss to the spine tips, and a few splits to the edges and folds. 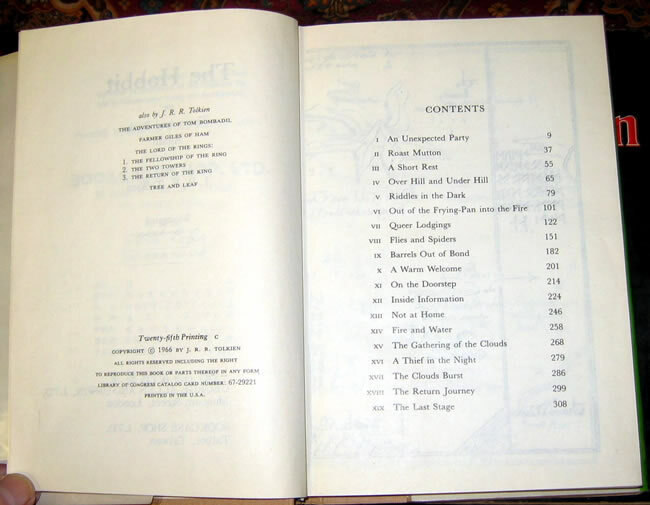 The set is all in the original light tan cloth with original dustjackets. 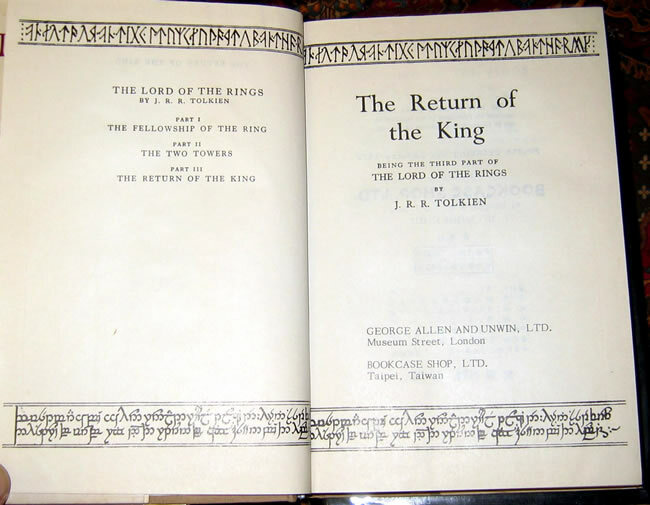 The tan cloth boards have no gilt stamping except to the spine on each book. 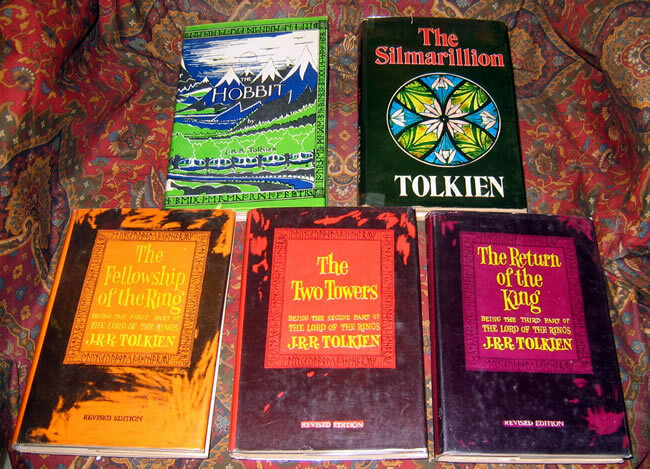 The books are all Very Good Plus, with the Silmarillion Very Good. 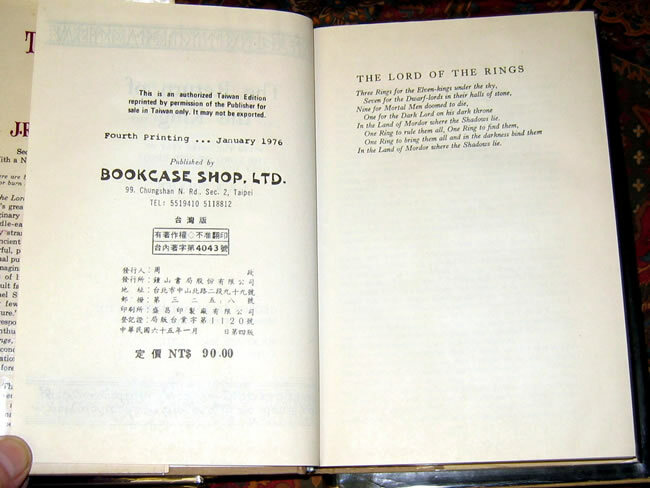 The Hobbit has a small bookplate to the front endpaper, and The Silmarillion has the previous owners name and address, as well as bookstore stamp to the title page. 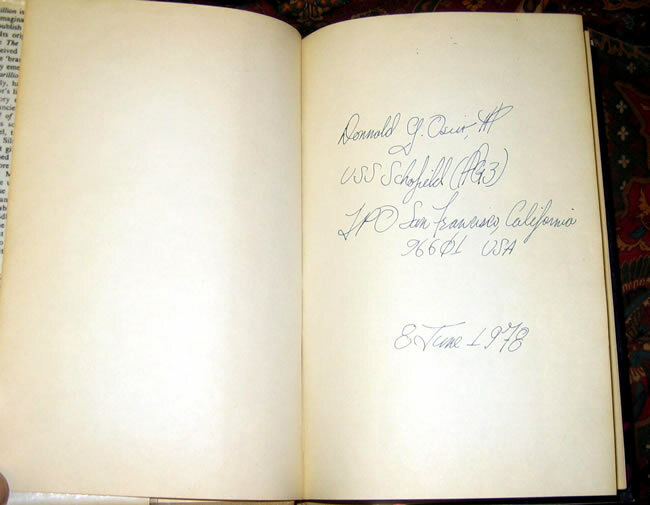 The other books have no writing, names, or dates, only light offsetting to the white endpapers. 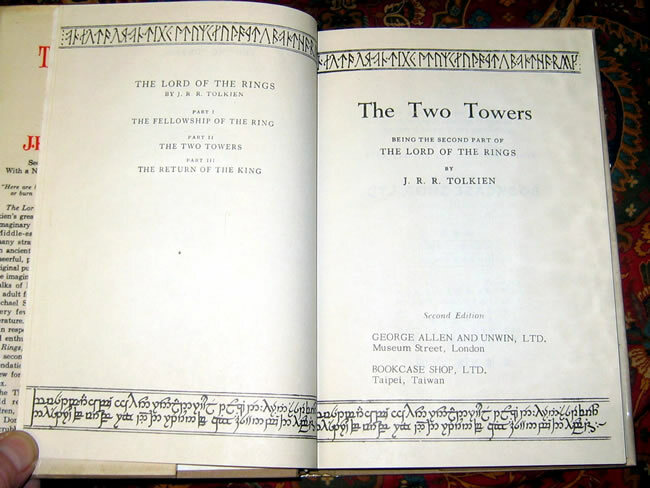 The dustjackets show a small amount of wear to the edges of the dustjackets, and the spines lacking the usual fading, are very crisp and bright. 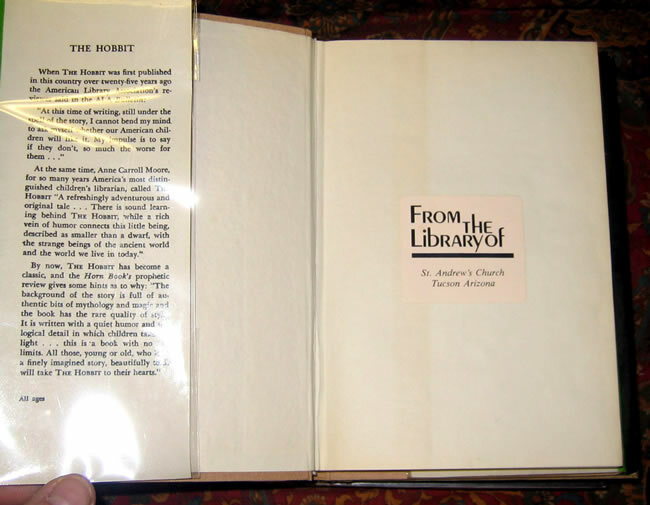 Dustjackets are not price clipped, and none of the books have a blindstamp to the rear boards. 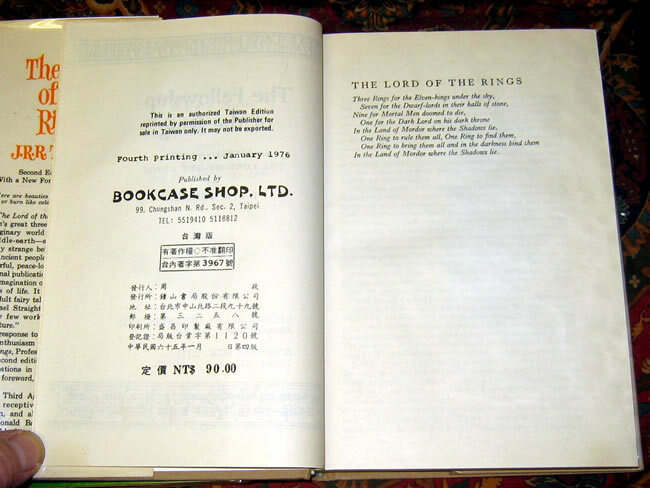 Original maps are attached at the rear of the 3 Lord of the Rings and Silmarillion books, where the Hobbit has its maps bound into the text instead of as endpapers. 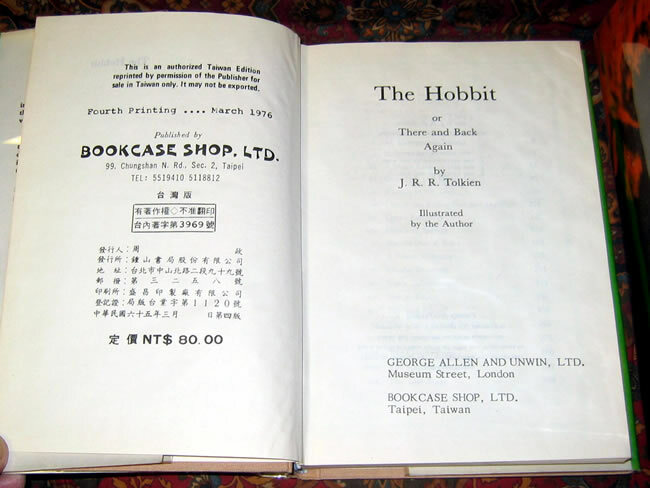 A wrinkle to the cloth of the rear board of the Hobbit, likely from the binding process.